I think Monday night is my favorite for television so far this fall. I’ve been a pretty big Chuck fan for awhile now and the episodes this season have been as good as ever. I really do like this show quite a lot and part of me just wants to write about how awesome it is and its ridiculous stunt casting, but, instead, I think I’ll talk about the other show that is making Monday night so enjoyable: The Event. I actually saw the pilot episode at Comic-Con and, honestly, I just wasn’t sold on the show. I didn’t love the way it jumped around the timeline so much, nor did I love the acting. Nonetheless, I was intrigued by the plot and watched the second episode last week. I found that I still didn’t love the way the show jumped around, but I got used to it, and maybe the acting isn’t Lost quality, but it’s not bad either. But what really changed for me was the plot. As it turns out, the show is about ALIENS. Yeah. That’s pretty cool. I can dig that. We got a little backstory in bits and pieces and I’m really intrigued now. Apparently these aliens landed in Alaska in 1944. The aliens look exactly the same as humans, but they do have some minor cellular differences. Most of them were detained, but at least a few managed to sneak off and have assimilated into the U.S. culture. Their motives are unknown. So last week’s episode was pretty cool. It gave us this backstory, but Sean Walker’s story heated up as well. One of the producers is from 24 and the influences are very apparent (Sean is basically the Jack Bauer of the show), but those influences keep the show exciting and suspenseful. Now this week, we’re starting to see how the conspiracy surrounding “the event” runs deep and discovering the root of that conspiracy is probably going to be the only thing that keeps Sean from getting killed. I’m still not sure how he is wrapped up in the whole mess, but I am confident that we’ll get the answer before too long. So far, most of the answers have come pretty quickly. I wouldn’t say that The Event is my favorite show on television, but I think I can say that it’s my favorite new show. 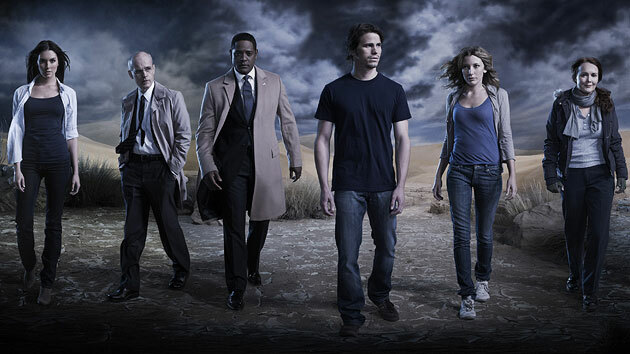 I’m not really watching that many new shows, so maybe that isn’t saying a lot either, but it really is pretty decent and I think its a great replacement for anyone suffering from 24 withdrawal.